Most shows aren’t sold on the basis of being “harrowing” but Badac Theatre Company are unlikely to let a little thing like unsettling their audience get in the way of a quality production. They have an aim, and that aim is to explore not just what human rights abuses are, but what they mean to the individual. The show Badac are bringing to Arlington on Thursday 24th September is The Flood. 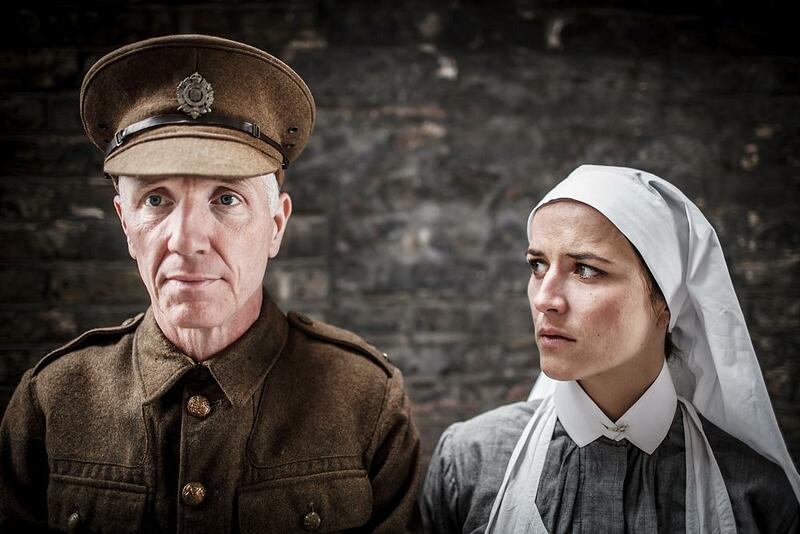 Presenting the tale of a love affair between a WW1 soldier and nurse, all things vicious, visceral and banal are brought to life through an assault on the senses in the style of Antonin Artaud. Emerging from the surrealist movement of the 1930s Artaud included sound, light and smell not just as add-ons to his scripts but as a constant and often overwhelming integral part. Artaud’s written theories were not always easy to translate to performance, which is largely why his fascinating school of thought has not been explored as much as it should have been in the years since his death. With over a decade of experience under their belts, Badac stage his concept with beautiful simplicity; the countless soldiers injured on the frontline are rendered by bloody pieces of not-so-fresh meat which are (literally) hurled into the fray, machine gun fire is replicated by an incessantly chopping knife and so on. Once you have an understanding of their approach (which they term “theatre of cruelty”) what is gained from performances like these? Surreal – yes, intense- sure, but also enlightening and, many find, a way of unburdening the subconscious. The intention is not to be sadistic or gratuitous, but to stimulate honest reactions from the audience. This is not a frivolous evening out to the theatre, we’re happy to make that clear. You won’t come away with a fleeting joie de vivre – but bewilderment and adrenaline are a heady cocktail. Please note: As this is a site specific piece in Arlington Manor Cellar, the performance will only be accessible via a flight of stairs. Arlington Manor Cellar can become quite damp, so we would recommend dressing with this in mind. Tickets can be booked here or via 01635 244 246 between 10am-4.30pm, Monday to Friday.